Washington State’s Jan. 1 conference opener at Washington will be the game every fan has circled on their calendar, and presents an opportunity to immediately seize momentum at the start of Pac-12 play. The Huskies have perhaps the best freshman in the country in guard Markelle Fultz, and if he is as good as advertised then watching him is reason enough to circle this game. But don’t overlook WSU’s Dec. 7 matchup with Idaho. The Vandals have beaten the Cougars the last two years, and UI is an early favorite in the Big Sky. Furthermore, coaches Ernie Kent and Don Verlin are teaming up to fight cancer with this game, and have a few things in store to make it interesting for fans. The Jan. 21 home matchup against Colorado could also be a big one for the Cougars. WSU lost to the Buffaloes by just five points in their first matchup last season, and took CU to double overtime in Boulder in the rematch. Kent beat the Buffaloes at home his first year in Pullman, and this game presents a nice opportunity for WSU to steal a win from one of the conference’s best teams early on. PULLMAN – In the era of one-and-done basketball, it is rare for college players to be the best guys on their team year after year. But in Ike Iroegbu and Josh Hawkinson, Washington State has an alpha guard and post who return to a team on which they were already the best players. Neither have ever played in a postseason tournament of any sort other than the conference one that every team qualifies for. With the program changing rapidly around them and an influx of new faces, it falls on Hawkinson and Iroegbu to find a way to finally make their final season a success. They are the only players on the roster not recruited to WSU by Ernie Kent. For the Cougars to make any postseason tournament this year – CBI, NIT, The Big One – it will require exceptional play from Iroegbu, one of the conference’s fastest players in the open court, and Hawkinson, who recorded 20 double-doubles in each of the last two seasons. Step one is distancing the program as much as possible from last year, in which WSU won just one conference game and ended the year on a 17-game losing streak. Doing so has meant a different approach to preparing for the season for Iroegbu. Through late January of last year, Iroegbu was one of the Pac-12’s premier outside shooters, hitting more than 50 percent of his 3-pointers. His legs left him as the season wore on, however, and he finished the year having made just 34.7 percent of his outside shots. Kent says the Cougars need Iroegbu to score more than the 12.7 points per game he averaged last year. As for Hawkinson? “He may need to score a little less for us to gain a little more,” Kent said. More of the scoring this year will come from the guards, although slimmer 7-foot center Conor Clifford, an offensively gifted player, convinced Kent during their overseas trip that he can keep up with a faster style of play, and will start for the Cougars. The Cougars will look pretty different this year in many respects. The person with the ball in his hands the most will be freshman point guard Malachi Flynn. Forward Jeff Pollard and wing Keith Langston also appear set to earn big minutes, and Kent is hopeful that freshman guard Milan Acquaah can recover from an injury in time to play contribute this year and avoid redshirting. If he does play, he is expected to make a similar impact to Flynn. All that turnover means a lot of learning for the Cougars, who had four players leave the program after last year. The Cougars are going to look a little weird to casual fans this season, and the reason why deserves some explanation. 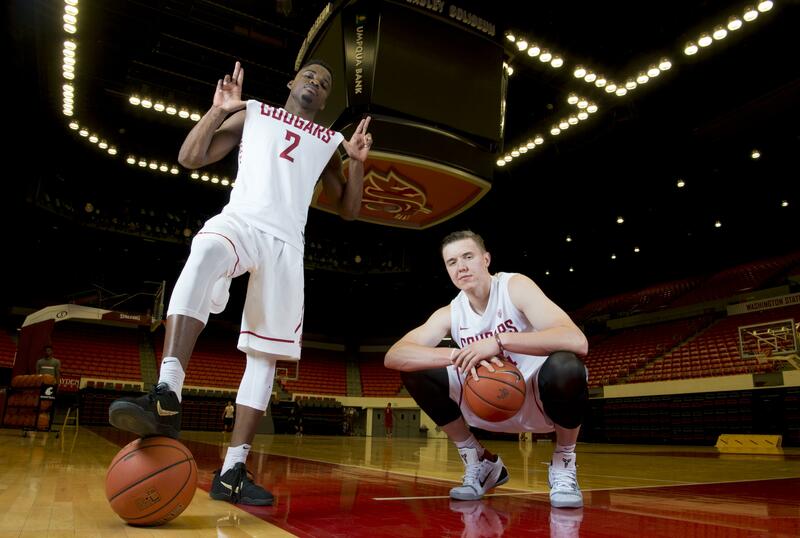 Basically, there are two numbers to keep in mind when watching WSU’s wacky style of play this season: 7.1 and 6.7. The first number reflects how many offensive rebounds per game the Cougars accumulated last year in Pac-12 play, the lowest figure of any league team. The second is how many fast-break points they gave up per game. The latter number might not be jarring, but consider that Pac-12 stat-keepers effectively only consider points to be scored on the fast break if a play was a wide-open layup or dunk. The number hardly encapsulates how many times the Cougars were caught out of position by a team that was able to get to the basket before the WSU defense could get set. Really, a better figure for determining how good the Cougars were at getting back is 45.8 percent. That’s what WSU allowed other Pac-12 teams to shoot from the field; only two teams were worse. So, this season, WSU is going to trade those offensive rebounds in order to slow down the other teams. That’s right, all the offensive rebounds. WSU might not get one. As soon as a shot goes up on offense, all five players will sprint back on defense. When the Cougars shoot free throws, only one player will stay positioned on the key near the shooter. Instead of a rebounding forward, it will be a guard, who is only there to initiate WSU’s defensive press. Kent is making this change in part to avoid the plethora of rebounding-related fouls sure to come with the NCAA emphasizing that to its officials this season. It will also save the legs of his players who wore down over the course of last year. Published: Nov. 3, 2016, 4:36 a.m.